On the 26th (Sun), explore the world behind art at Museum of Fine Arts. Keep things going the next day: make a trip to Louisburg Square, then take in nature's colorful creations at Boston Public Garden, then stroll the grounds of Mount Auburn Cemetery, and finally explore and take pictures at Fenway Park. To find photos, maps, and other tourist information, you can read our Boston trip builder . Manchester, UK to Boston is an approximately 10-hour flight. You'll gain 5 hours traveling from Manchester to Boston due to the time zone difference. Expect a daytime high around 15°C in April, and nighttime lows around 5°C. Wrap up your sightseeing on the 27th (Mon) early enough to travel to New York City. New York City is known for museums, nightlife, shopping, historic sites, and parks. Your plan includes some of its best attractions: take in the pleasant sights at Central Park, appreciate the history behind Statue of Liberty National Monument, explore the world behind art at The Metropolitan Museum of Art, and enjoy breathtaking views from Empire State Building. For where to stay, traveler tips, photos, and tourist information, you can read our New York City trip maker app . Getting from Boston to New York City by combination of flight and bus takes about 3 hours. Other options: fly; or drive. In April, daytime highs in New York City are 19°C, while nighttime lows are 8°C. Finish your sightseeing early on the 1st (Fri) so you can travel to Miami. On the 2nd (Sat), see the interesting displays at Vizcaya Museum and Gardens, take in nature's colorful creations at Fairchild Tropical Botanic Garden, and then take in the local highlights with Walking tours. To see reviews, traveler tips, ratings, and more tourist information, you can read our Miami trip itinerary planner . Traveling by flight from New York City to Miami takes 5.5 hours. Alternatively, you can do a combination of bus and flight; or drive. Prepare for a bit warmer weather when traveling from New York City in May: high temperatures in Miami hover around 36°C and lows are around 27°C. Wrap up your sightseeing on the 2nd (Sat) early enough to travel to New Orleans. Kick off your visit on the 3rd (Sun): learn about all things military at The National WWII Museum, then get to know the fascinating history of Garden District, and then don't miss a visit to Jackson Square. Get ready for a full day of sightseeing on the next day: take in the spiritual surroundings of St. Louis Cathedral, then get to know the fascinating history of French Quarter, and then tour the pleasant surroundings at New Orleans City Park. To find photos, more things to do, reviews, and tourist information, refer to the New Orleans trip planner . Getting from Miami to New Orleans by flight takes about 4.5 hours. Other options: do a combination of bus and flight; or drive. You'll gain 1 hour traveling from Miami to New Orleans due to the time zone difference. Traveling from Miami in May, expect nights in New Orleans to be about the same, around 24°C, while days are little chillier, around 24°C. Finish your sightseeing early on the 4th (Mon) to allow enough time to travel to Las Vegas. Change things up with a short trip to Hoover Dam in Boulder City (about 50 minutes away). And it doesn't end there: explore the striking landscape at Red Rock Canyon National Conservation Area, admire the natural beauty at Bellagio Conservatory & Botanical Gardens, get a taste of the local shopping with The Strip, and see the interesting displays at The Neon Museum. For photos, more things to do, reviews, and other tourist information, read Las Vegas trip builder . You can fly from New Orleans to Las Vegas in 6 hours. Other options are to do a combination of bus and flight; or drive. You'll gain 2 hours traveling from New Orleans to Las Vegas due to the time zone difference. Traveling from New Orleans in May, you will find days in Las Vegas are a bit warmer (36°C), and nights are slightly colder (20°C). Finish up your sightseeing early on the 7th (Thu) so you can travel to Los Angeles. 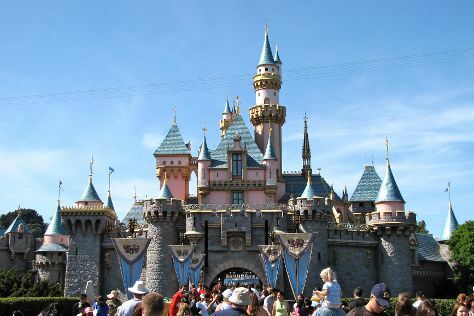 Go for a jaunt from Los Angeles to Anaheim to see Disneyland Park about 36 minutes away. Pack the 10th (Sun) with family-friendly diversions at Universal Studios Hollywood. And it doesn't end there: see the interesting displays at The Getty Center, see the sky in a new way at Griffith Observatory, stroll the grounds of Hollywood Forever Cemetery, and make a trip to Santa Monica Pier. For ratings, photos, maps, and tourist information, use the Los Angeles route planner . Traveling by flight from Las Vegas to Los Angeles takes 4 hours. Alternatively, you can drive; or take a bus. Expect slightly colder temperatures when traveling from Las Vegas in May; daily highs in Los Angeles reach 28°C and lows reach 17°C. Finish your sightseeing early on the 10th (Sun) to allow enough time to travel to San Francisco. San Francisco is known for nature, museums, nightlife, shopping, and childrens museums. Your plan includes some of its best attractions: take in the views from Golden Gate Bridge, steep yourself in history at Alcatraz Island, engage your brain at Exploratorium, and browse the different shops at Ferry Building Marketplace. To see maps, other places to visit, where to stay, and tourist information, use the San Francisco day trip planning site . You can fly from Los Angeles to San Francisco in 4 hours. Other options are to do a combination of flight and train; or drive. Expect a bit cooler temperatures when traveling from Los Angeles in May; daily highs in San Francisco reach 24°C and lows reach 13°C. Finish your sightseeing early on the 13th (Wed) so you can travel to Chicago. Chicago is known for museums, historic sites, nightlife, zoos & aquariums, and childrens museums. Your plan includes some of its best attractions: explore the world behind art at The Art Institute of Chicago, have some family-friendly fun at Fox in a Box Chicago, enjoy breathtaking views from Skydeck Chicago - Willis Tower, and admire the striking features of Frank Lloyd Wright's Unity Temple. To see maps, ratings, other places to visit, and tourist information, use the Chicago holiday planner. Traveling by flight from San Francisco to Chicago takes 6.5 hours. Alternatively, you can do a combination of train and flight; or drive. The time zone difference moving from Pacific Standard Time (PST) to Central Standard Time (CST) is 2 hours. In May, plan for daily highs up to 25°C, and evening lows to 13°C. Finish up your sightseeing early on the 16th (Sat) so you can travel back home.